Q: What qualifications does the education staff at OPAHK have? Have they undergone any training before conducting the programmes? A: Most of our Education Specialists are degree holders in biological science or related fields. They have been well trained and must pass the relevant tests and evaluations before teaching OPAHK programmes. Q: Are there any OPAHK programmes available for individual application? A: All OPAHK programmes are available for application only through registered regular Educational Organisations in the HKSAR and charitable institutions and trusts of a public character which are exempt from tax under section 88 of the Inland Revenue Ordinance. Students interested should contact their school for enrollment. Q: Can students apply for OPAHK programmes on their own? A: Students should apply for the programmes through their school or organisation. Q: We are a non-school organisation; can we take the programmes? A: Applicants from non-regular Education Organisations which are exempt from tax under section 88 of the Inland Revenue Ordinance can apply programmes for charitable organisations. Q: How do I know if my online application is successful? A: For local school education programmes, applicants will be notified of their results within 7 working days after online application; for charitable organisations education programmes, applicants will be notified of their results within 14 working days upon receipt of a completed application form. Please contact our staff at 3923 2323 (select the language and press ) if you do not receive any notification. Q: What is the programme capacity? Are there any special arrangements for groups of over 500 students? A:For local school education programmes, the capacity for each programme ranges from 20-40 students. (The minimum capacity for the Mingle in the Jungle, Land and Sea Excursion, Backpacker Journey and Deep Inside the Ocean is 15 students.) For charitable organisations education programmes, the capacity for each programme ranges from 15-30 students. Our daily capacity can reach up to 1,000 students. If school wants to arrange more students to come, we will arrange programmes in more groups. If you have any enquiries, please contact our staff at 3923 2323 (select the language and press ). Q: If a student cannot attend a programme for which he/she has paid in advance, can he/she receive a refund? A: The school may arrange a replacement student to attend the programme, but fees are not refundable to individual students. Q: Will a refund be given if the programme is cancelled due to bad weather? A: If any of the following situations occurs, OPAHK will reschedule the visit for the affected school or organisation within one month from the original date of visit. - The Education Bureau announces the suspension of schools or the Social Welfare Department announces the closure of all welfare service units of the department, all child care centres and centres providing after school care programmes. Q: How do children with special needs join the programme? A: We make every effort to ensure students with special needs receive the same pleasurable learning experience. We work closely with teachers and make necessary adjustments to the programme content and setting of the venue to suit the needs of the students. For more details, please contact our staff at 3923 2323 (select the language and press ). A: All programmes are conducted in Cantonese or English. Special requests for Putonghua should be made in advance on the application form. Q: Can we enjoy free parking on the programme day? A: Coach can drop off students at Ocean Park Entrances, additional charge will be applied for parking. Q: Can students or teachers stay behind after the programmes? A: Anyone who joins an OPAHK local school education programme can pay an additional stay-behind fee for a longer stay. This request and payment should be settled at the Ticketing Office before admission. This fee is waived for anyone with a valid Ocean Park admission ticket or Smartfun Annual Pass. Q: Do we need permission to take pictures or videos during the programme? A: During the programme, photographs may be taken for personal use. However, no video-taking is allowed. Commercial photography is strictly prohibited except with prior permission. Admission to the Park signifies your permission and agreement to Ocean Park to take and use your photographs or images for educational and promotional purposes. Q: How can I receive the latest news from OPAHK? 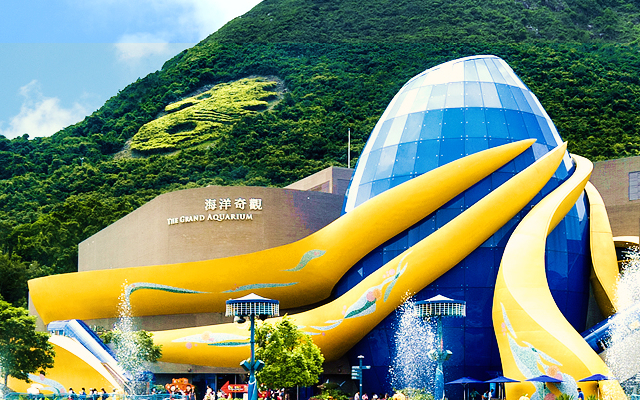 A: We shall post our updates to our website and welcome to send us an email at opahk-news@oceanpark.com.hk. Ocean Park Academy Hong Kong (OPAHK) encourages students to carry out investigation based on their interests to facilitate self-learning. We are happy to provide support for academic study and project-based learning with our abundant resources and professional experience. Please send your information to us at: opahk-news@oceanpark.com.hk. Should you have any further queries, please contact our staff at 3923-2323 (select the language and press ).